The TASTE AWARDS Committee and TasteTV are pleased to announce that the 4th Annual TASTE AWARDS on January 17, 2013 will take place at a new venue, the lovely Vibiana in Los Angeles. 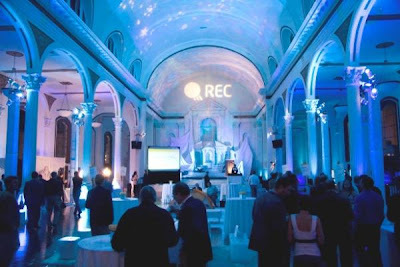 Vibiana is a converted cathedral in downtown LA, popular for awards events, parties, and other entertainment industry activities. Because having good tequila to drink is not enough, now you can enjoy it in official sipping venues. "Today, boutique tequila distillery Casa Noble announces the launch of its new club, Noble Places, in Denver. This summer, Noble Places will welcome a select number of venues in 15 cities throughout the U.S. into the Casa Noble family. Each of these unique venues - local neighborhood gems - will be highlighted with a feature on an exemplary staff member and their venue's custom Casa Noble cocktail - specially created for this club - allowing customers, old and new, to get to know their neighborhood haunt before they walk through the door. The Denver launch is one of 15 Casa Noble plans to roll out across the U.S. over the summer."